G.I. 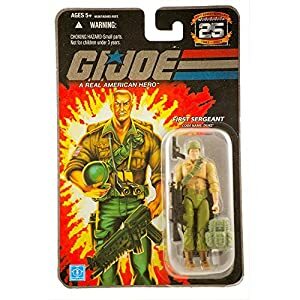 Joe: A Real American Hero was a comic book and cartoon series based off of Hasbro’s 1980’s military action figure toys line. While both series covered the same characters and concepts, they had vastly different continuities. The cartoon’s stories were far more fantastical (and often silly) while the comic was far more realistic and gritty. G.I. Joe’s story focused on the ongoing struggle between the G.I. 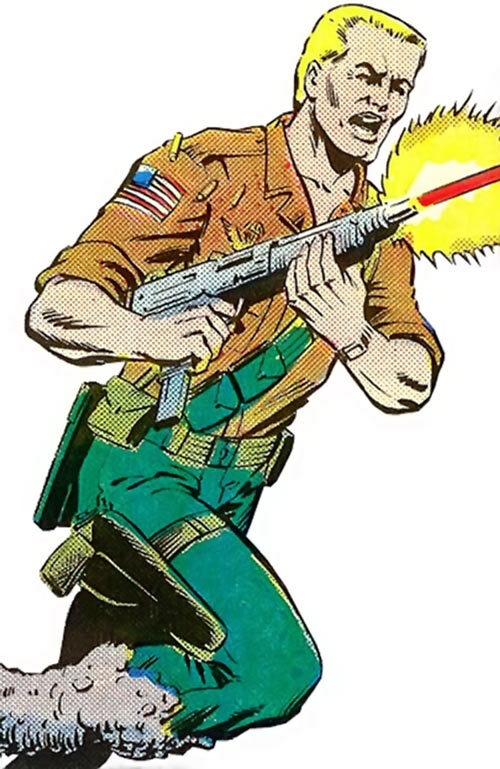 Joe Team (a group made up of soldiers hand-picked from the four main branches of the U.S. Armed Forces) and the sinister Cobra organization (who were dedicated to world conquest). 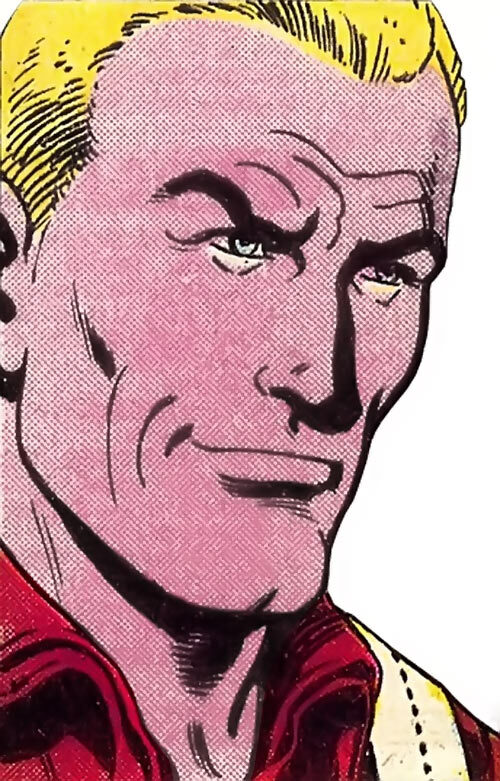 Our write-ups specifically cover the first 56 issues of the 1982-1994 Marvel comics series which took place in it’s own universe (and thus exclude any events found in any other comics (IDW, Image, etc.) or television/movie series. Duke was the Drill Sergeant and field leader of the G.I. Joe team. While he was a major character in the cartoon, he was a minor one in the comics. Group Affiliation: United States Armed Forces; G.I. Joe. Height: 6’0″ Weight: 180 lbs. Duke is a combat veteran who has been taking part in military operations since 1967. He is a skilled infantryman with extensive experience in HALO (High Altitude Low Opening) parachuting and languages (he is fluent in French, German and Han Chinese). He is a qualified expert in a wide assortment of weapons but favours handguns. Duke generally arms himself with a .45 calibre handgun, a fragmentation grenade and a military grade combat knife. Duke enlisted in the United States military in 1967. By the time he was recruited for the G.I. Joe mobile strike force, he had received the Medal of Honor, two Bronze Star medals and had turned down a field commission in favour of remaining close to his troops. Duke made his first appearance during the funeral of General Flagg. A Cobra Rattler (combat jet) attacked the funeral while the entire team was present and in mourning. While the unarmed soldiers stood frozen in shock, Duke appeared (with Roadblock) over a distant hilltop and the two shot the Rattler out of the sky. As the excitement of the near miss died down, Duke declared to the Joes that he was the new first sergeant of the team. 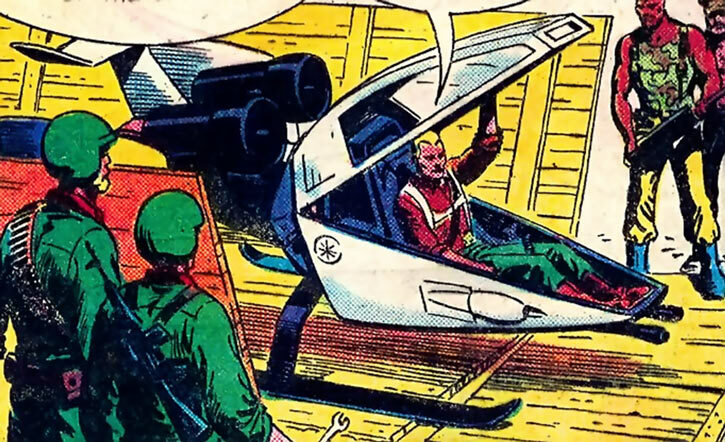 Shortly thereafter, under Duke’s leadership, the Joes captured Cobra Commander. Unfortunately, their victory was short-lived as Storm Shadow freed Cobra Commander within a couple days. 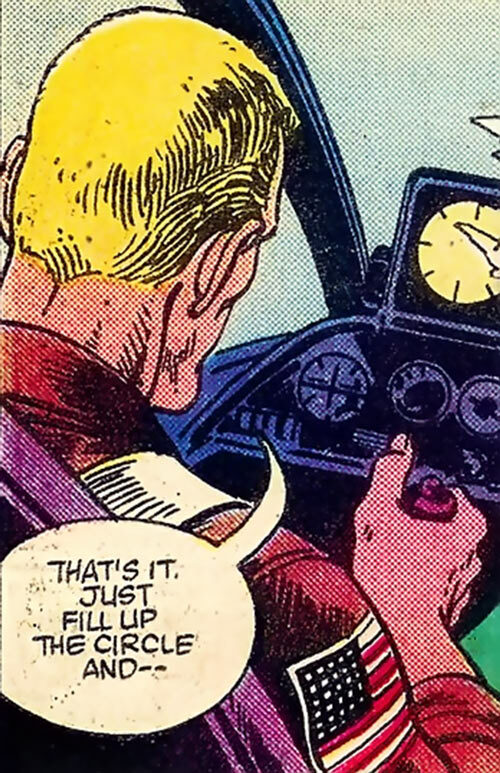 From that point on, Duke proved to be a constant thorn in Cobra’s side. He led the Joes to several victories. 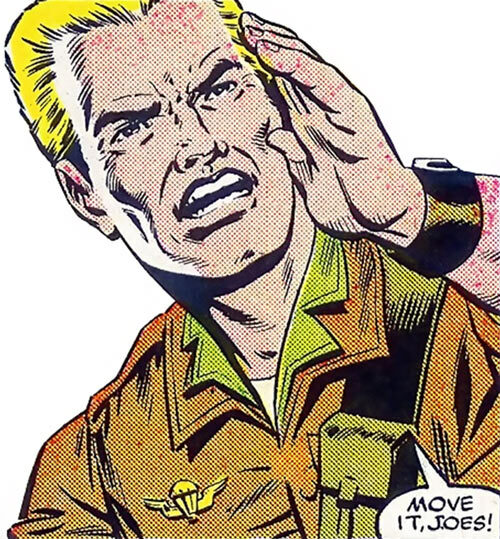 Duke was eventually named the field commander of the team when Hawk was promoted to General and given overall command of the G.I. Joe Strikeforce. Duke is an average looking Caucasian male; he has a trim athletic build, blond hair and blue eyes. His uniform generally consists of a plain beige shirt, green pants and a sturdy pair of brown boots. He accessorizes his uniform with a green belt (with a connected shoulder strap) and golden eagle pin that adorns the right side of his chest. Duke is everything that you would expect from a soldier of his pedigree. He has a no-nonsense, hard-bitten personality that simply won’t accept failure as a viable option. He will fight through pain and ignore all distractions in order to accomplish his goals. When in the field, Duke barks orders like a man that is used to being obeyed and is quick to praise those who follow him when they accomplish the near impossible. Expertise (Military Equipment and Protocols, Parachuting), Languages (French, German, Han Chinese), Leadership, Rank (E-8, Master Sergeant). 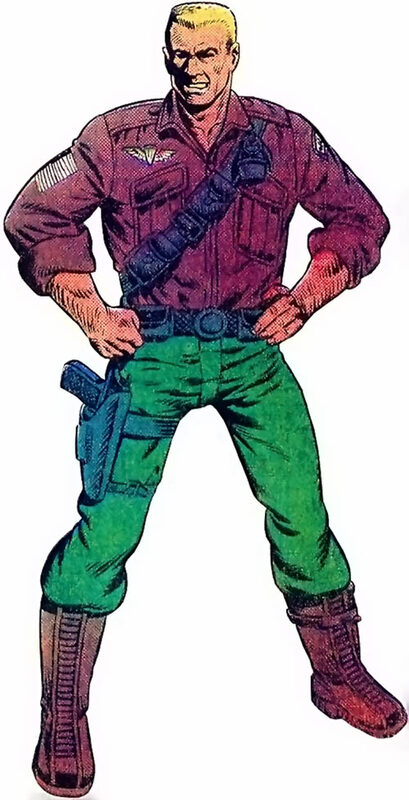 GI Joe (High), United States Military (Low). MIA toward Patriotism, Secret Identity. Medium Calibre Semi-Auto Pistol [BODY 03, Projectile weapon: 04, Ammo: 15, R#03]. Grenade (x2) [BODY 02, EV 07 (Area of Effect), R#03]. 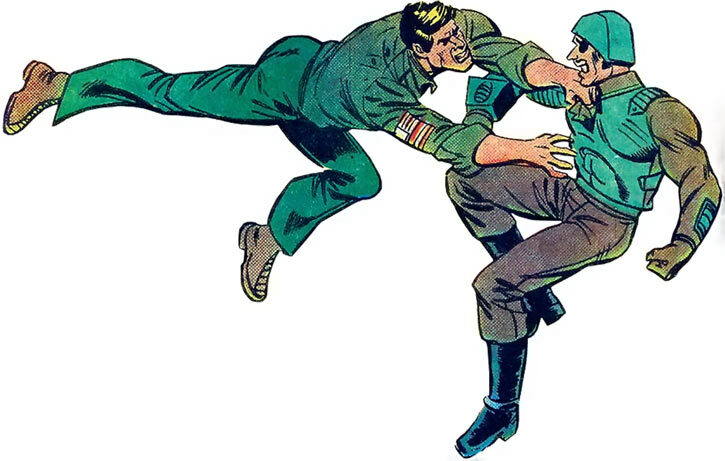 Source of Character: Marvel Comics Series G.I. 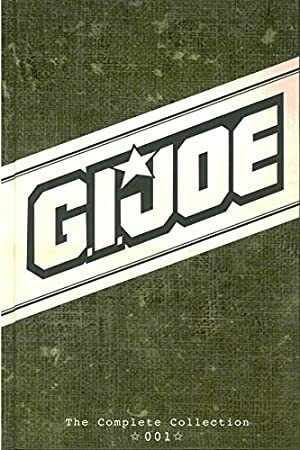 Joe: A Real American Hero Issues #1-56, Written by Larry Hama and illustrated by Herb Trimpe. Writeup completed on the 22nd of April, 2016.